I’m crying out here for people who really love poetry. I want to know the reasons why you enjoy poetry and, if you like, your favourite poets/poems. 1) It seems to me, that by choosing to write a piece of poetry, you are limiting the means by which to express yourself. Poetry just doesn’t allow the freedom that prose does, especially if the poet decides to stick to a common rhyme scheme: it’s a well known fact that the English language lacks the abundant rhymes that other languages have, so why hinder your writing by limiting the vocabulary you can use? 2) The majority of poets I’ve read seem to take delight in deliberately masking the point they are trying to make. To what end? While I acknowledge that poetry and plays in the past have been moderated to prevent blasphemy, heresy and anti-government messages, a great deal of poets, who had no reason to, disguise their true messages under impenetrable linguistic devices and misleading metaphors. Surely if you feel so strongly about an issue you would want to make, and illustrate, your point clearly so that others would be able to appreciate the opinion and form their own around it, especially since poetry is commonly used as a means to publish political and social commentaries. 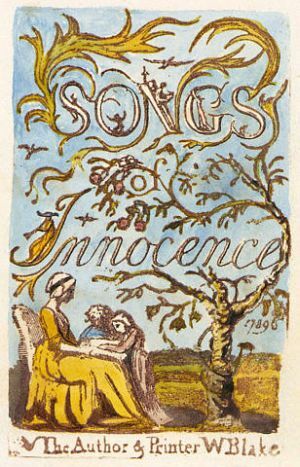 At the moment, I am reading William Blake’s Songs of Innocence and Experience, which has begun to change my mind about poetry. Blake uses different perspectives (childhood innocence and adult experience) to describe the same, or similar, scenarios and it is this which has encouraged me to treat his poems as a puzzle. He provides the puzzle pieces in each mirrored poem. He provides the setting, the characters and the event, but different views and opinions about these common features. It is the job of the reader to fit together the opposing perspectives in order to build up a complete understanding of the merits of ‘Innocence’ and ‘Experience’. In essence, the reader is given an image of the puzzle through the similar settings and characters in the opposing poems (the picture on the front of the box, if you will), but in order to finish the puzzle, the reader must figure out a way to connect the different views in order to create the full picture and reveal the message behind the two poems. And, just like a puzzle, the feeling you get when you’ve connected two pieces that fit perfectly together, and enable you to see more clearly the emerging message, is one of delight and revelation that warms the insides and brings a smile to the face. I will, however, always prefer a good novel. The Kindle: yay or nay? The Kindle. 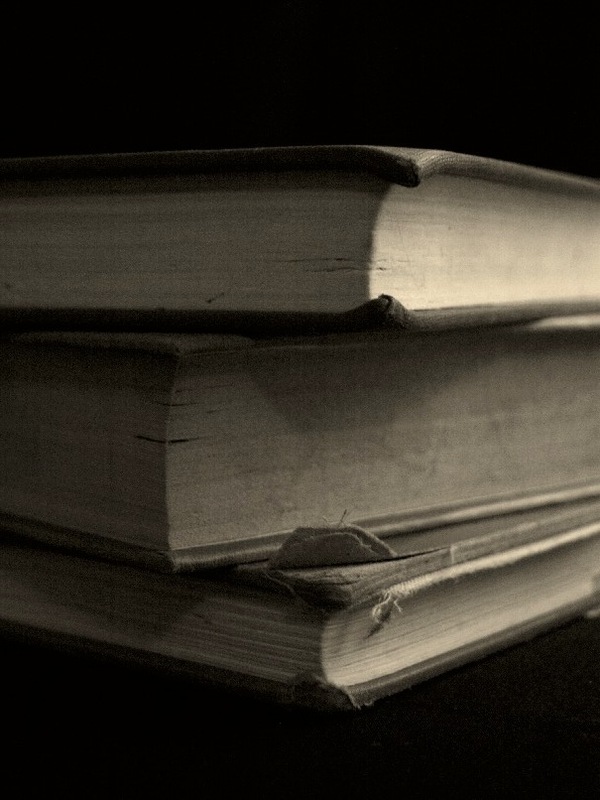 It’s a controversial subject amongst book lovers: is it the way forward, or is it the worst sin against books ever to be invented? I am a firm believer in the magic of books. I tend to only buy second hand books because I love the feeling of knowing that somebody else has held the same pages as me, and that the simple marks on the page have taken this other person through an emotional journey; they’ve transported this person out of this world, and into a fictional one. I love the feeling of holding another person’s life in my hands, a whole new world, another universe. I love seeing the dog ear on the pages mark my progress (yes, I’m guilty of folding pages over, I’ve lost so many bookmarks in my time I’ve given up using them) and I love being able to half-see the words on the next page through the one I’m reading, but not quite knowing what emotions they’ll wring from me, or what delights or horrors they’ll bring. I love being able to look at my bookshelf and contemplate which new world I’ll immerse myself in next. With the Kindle, the magic of books is lost. 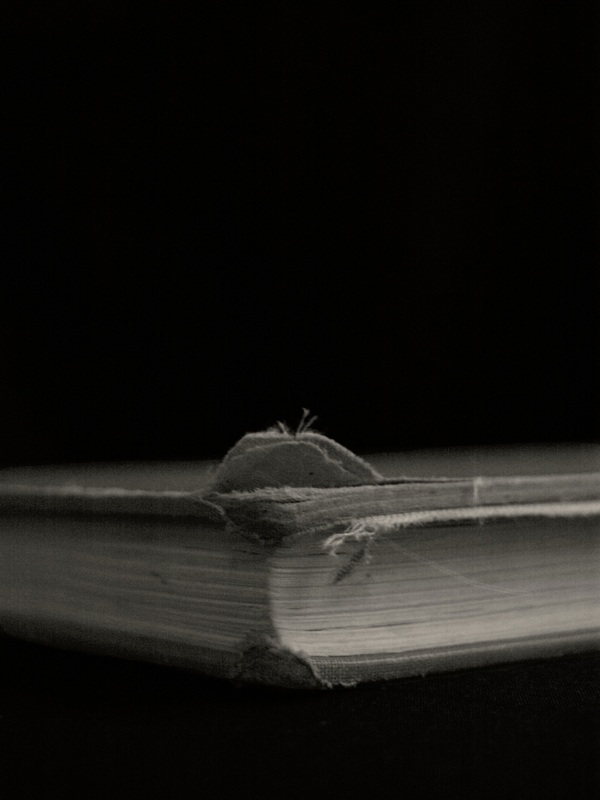 The magic of books is reduced to a cold, hard, technological rectangle. It’s an amazing piece of technology, don’t get me wrong. The way they’ve refused to use a backlight in order to create a screen that looks almost exactly like a piece of paper is incredible, the portability is useful for those who don’t have the space to carry around books, and the appeal of downloading a book whenever you feel the desire to (and for much less money) is both irresistible and incredibly dangerous for my bank account. For an English Literature student like me, you’d think it would be ideal. I have to buy, on average, about 12 books per semester (not including the books I buy for recreational reading) which, as you can imagine, doesn’t come cheap, and the majority of Kindle versions of the books I study sell for less than £1. Add to this the faff of carrying so many books on my walk to uni every day and storing books in my cramped studenty house, and you’d think I’d be worshipping the Kindle as something sent from heaven to make my degree cheaper and easier. But where’s the magic in holding a piece of cold metal? I feel like a heretic of the technological generation I’m supposed to belong to, but there is no wonder and no beauty in reading a metal slab, no matter how amazing the technology is. 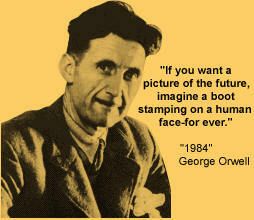 Newspeak: the language created by George Orwell in his novel 1984. Its a language designed for the ideological needs of Big Brother. The Ministry workers had the task of cutting down the English language to the bone and getting rid of any superfluous adjectives, verbs or nouns. The best example of Newspeak is probably the word good. They destroyed the word ‘bad’ and replaced it with ‘ungood’. They got rid of any adjectives such as excellent, fantastic etc., and brought in ‘plusgood’ or ‘doubleplusgood’, and instead of terrible or horrible, there was ‘plusungood’ or ‘doubleplusungood’. The whole concept of good and bad was brought down to 6 words (or one if you count the extensions as prefixes), instead of the multitudes the English language currently contains. I was struck dumb halfway through 1984 when Syme describes his job. He is employed to help write the Newspeak dictionary and instead of creating new words, his main job is to destroy unnecessary words. The whole point of Newspeak is to narrow the range of thought so that the comrades under Big Brother cannot speak or think any words that oppose the ideological ambitions of Big Brother. The slogan is ‘war is peace, freedom is slavery, ignorance is strength’, but in the predicted future, these words will not exist, and therefore the concept these words describe will not exist. I found that idea fascinating: that without the words to describe a concept, that concept will not exist. The more our language is restricted, the less control we will have. If we cannot access words to describe our opposition to a government, or even pinpoint what is wrong with it, we cannot rebel. We cannot even have our own opinions. I found the propaganda of the Nazi period hugely interesting purely because of the persuasive power it held through the images and language it used, but Orwell’s description of a destruction of words incites far more fear in me than anything else could (except maybe Big Brother’s constant rewriting of history). Can you imagine a world in which you cannot have an opinion? Not just a world where you are forced to involve yourself in a movement, regardless of your opinions, because you are punished for rebelling against it (like the world created by the Nazis), but a world in which you cannot think for yourself because the words simply do not exist to allow you to think anything but what Big Brother wants you to think. I believe that Orwell has managed to latch one of everyone’s biggest fear, in a way that no horror writer I have encountered has managed to do. There is no scarier prospect than having your mind completely controlled and having no possible way of thinking for yourself. When it all comes down to it, the one and only thing we are dependent on for our freedom is language. And at the same time, language has the most power to restrict us. A 19 year old girl sat at a kitchen table (wearing a thermal t-shirt and two hoodies because it’s a student house and we’re too poor for heating). She’s surrounded by piles of books, bottles of empty energy drinks, and reams of paper filled with tiny, chicken scratch writing, spider diagrams and frustrated scribbles. She hasn’t moved for 6 hours now. Her hair is messy from frustrated head grabbing, her leg is jiggling from frustration (and possibly a caffeine overdose) and her knuckles are white from gripping the pen so hard in her frustration. She’s frustrated. The reason for this? I’m planning my end of semester assessed essay. Before I started, I decided that I would rebel against the social constraints and dictations that force us to only use our paper in the portrait format. I took a chance; I got excited and said ‘no! Today, I shall be different! 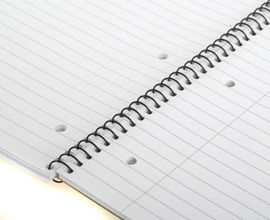 Today, I will not work by the rules forced upon us by the lined paper manufacturers! Today, I shall turn my paper landscape!’ And I did. 6 hours in, I began to regret my libertine decision. Without those lovely faint, wide ruled lines my writing is nothing. My writing is so tiny, so crammed onto the page and so far from straight that it’s practically illegible. My gems of literary criticism, my epiphanies, my ground-breaking insights, my philosophical theories outrageously applied to Romantic autobiographical texts are all pretty much incomprehensible. What I learned today: the lines are there for a reason. An English student’s golden rule. When they wrote their novels, their poems and plays? Until everything’s decoded, every word, every phrase. The authors would be appalled by the meanings we’ve assigned. Then we twist words and phrases to mean what we need. And words that don’t fit, we dismiss and don’t read. For any idea, just remember: distort!